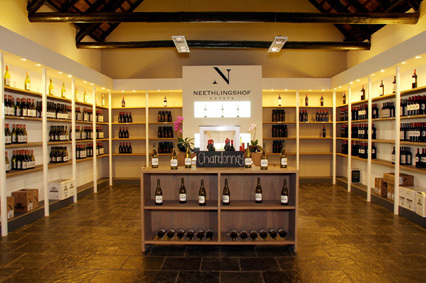 Wine making at Neethlingshof Estate stretch back to the earliest years of winemaking at the Cape and grapes were already being produced on the farm in 1705. The estate's reserve tier of three wines, all made in limited quantities from hand-picked grapes, were renamed The Short Story Collection as there is, in fact, a special story attached to each them. 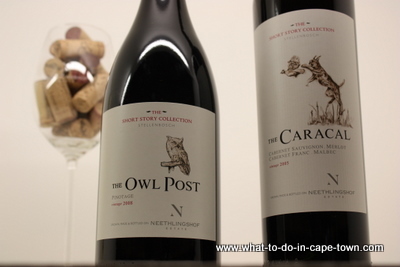 The Owl Post - Tells the story of how owls were brought back to Neethlingshof to help control field mice which had caused considerable damage in the vineyards. The Caracal - The flagship Bordeaux blend, celebrates the return of the rooikat (caracal) to Neethlingshof since the start of the programme to conserve and rehabilitate areas of indigenous habitat. The Maria - Is the name for the estate's acclaimed Weisser Riesling Noble Late Harvest and honours Maria Magdalena Marais. The young widow who took over the building of the estate's manor house and the developement of a viable farming operation after the death of her husband, Charles, in 1813. The Standard tasting allows for the tasting of six wines. The Executive tasting allows for the tasting of six wines followed by coffee and truffles, for a maximum of 12 guests in the private cellar. 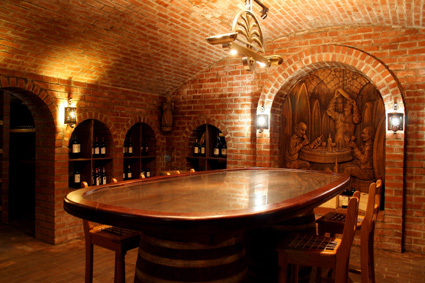 Cellar tours must be booked in advance by calling 021 883 8988. This pairing is an innovative wine and food pairing concept where six wines from both the mainstream and reserve ranges are paired with six fast-food dishes. 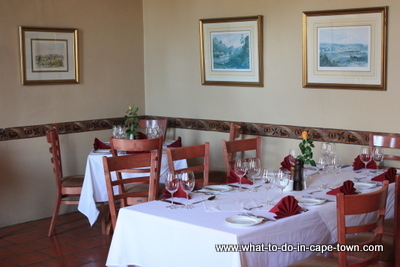 This is available exclusively in the wine tasting centre daily after 12:00 and should be booked 24 hours in advance. Shiraz paired with Jerk chicken, a Jamaican favourite. Malbec paired with duck, wild mushroom and savoury Australian liquorice spring rolls. Short Story Collection Owl Post Pinotage paired with a mini steak Prego roll with chocolate shavings and camembert. Gewürztraminer paired with honey and ginger noodles. Chardonnay paired with a chicken breast wrap with lemon zest and butter. Short Story Collection, The Maria Noble Late Harvest paired with a mini waffle and apricot preserve. 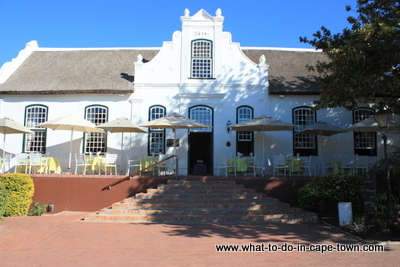 The main restaurant is located in the preserved homestead dating almost 200 years back to 1814. It offers a menu of classic Continental fare. Next to the homestead is the Palm Terraces, a light and airy space with beautiful views of the gardens. 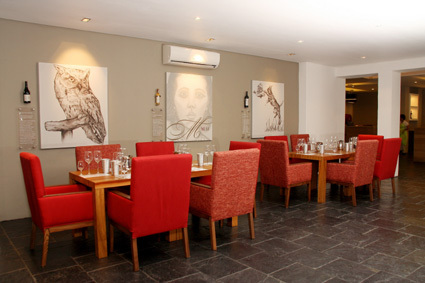 Able to accommodate up to 160 guests, it is ideally suited to conferences, launches and cocktail events. 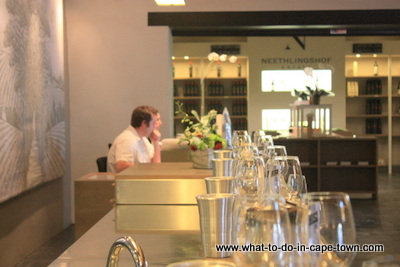 Return from Neethlingshof Estate page to Homepage.